Great to read this data but need to focus on the main aspects of the issue i.e google algorithm also collaborates with social media platforms like facebook. Overall it is helpful for us. Great to experience your seo guide. I would love to apply all these techniques to my website. Thanks for sharing such useful, detailed Check list for seo I just want to let you know that I have checked out your site and I found it very interesting and informative. 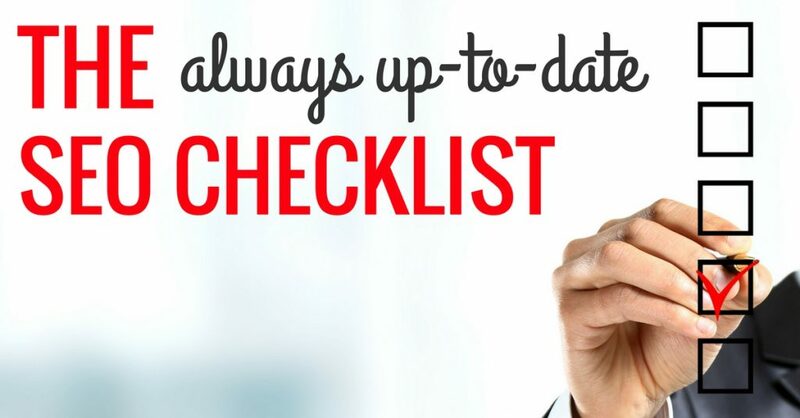 Amna: We agree with you, which is why we update and republish this checklist frequently. Amount of changes happening in search engine algorithm I didn’t think any guide can stay up to date for very long. Those are really great points you have managed to include in your post. Thanks Bruce for writing this informative and most up-to-date SEO checklist that is truly helpful for not only me but for anyone who has been looking for handy checklist for SEO optimized post to win the major search engines. Keep up your amazing work! With regards! Nice Research, Everyone have to check all Google factors before starting SEO. Thanks for sharing this valuable checklist. I can implement in my website and get improve in google ranking. Rick: It’s new! We’ve updated this article many times since the first version to keep it up to date. I haven’t wanted to remove the comments, though, because they add so many readers’ perspectives to the conversation. Sorry for the confusion. 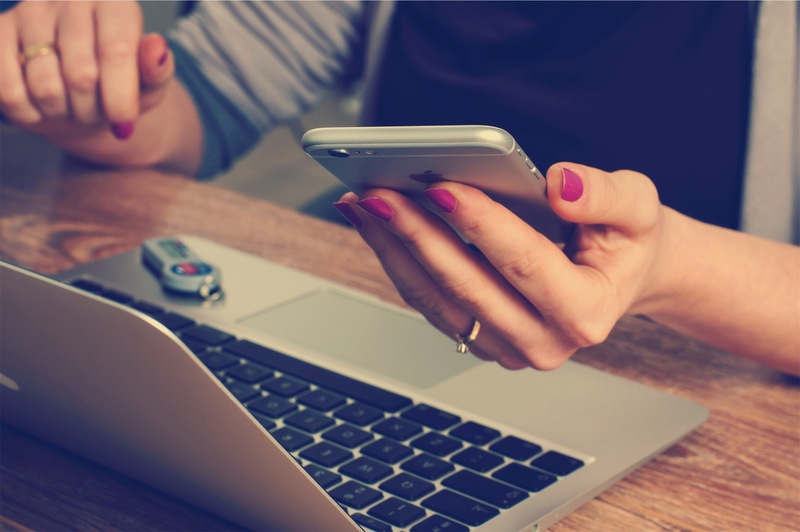 Yes, after the recent Mobile first update, website speed plays a huge role in your ranking. If you are unable to optimize your website for mobile, I recommend using AMP. Great piece of SEO content. I have bookmarked your site and will be using your checklist on my future SEO projects. Thank you Bruce. Excellent article. Thanks so much for sharing this checklist. This is very useful. We regularly miss out on a number of these checkpoints. Thanks for sharing and enabling us do the right job with our seo tasks. SEO is most good technical way to promote your website in any search engine. Here you have shared excellent article and information about SEO checklist. This techniques should helpful for us to get rank first. Thanks for sharing. Nice post, many of important points you discuss in this post about the whole process of SEO. Hey Bruce, I am glad you shared this SEO checklist with us. It is great help for me. I always forget some or other thing while checking for SEO. To have this checklist handy will be great help so that I don’t miss any important point. I mainly forget image optimization. Now with this checklist, I believe I will work perfectly. Thanks for sharing the top SEO checklist, I can definitely use in my website. Thanks for sharing this informative post! i must say that A large number of online forums still allow do-follow links. We’ve detailed some of the key tactics involved in integrating SEO into your inbound marketing strategy from the start. Incredible post. Now I’ve got to read this huge article carefully and You have better explain about SEO checklist. Thanks for this contribution. Yup. Mobile is the new leader and it will continue to take ground. We can’t ignore the realities of mobile. Appreciate this article, it’s a good one! Content and keywords are bloodlines of any SEO strategy. I personally believe that now links game has gotten weaken now and currently putting quality content and keeping social signals very strong so that your content gets viral and it starts building natural links. This is a great checklist! While you’re right in saying that none of these could ever really be comprehensive, I think it’s an important reminder for anyone when they review their strategies at any time. I think I’d like to add that social media monitoring has become an increasingly important part of the checklist since you started writing it six years ago. Now more than ever, brands shouldn’t just be reactive to social media mentions, or simply see it as a means of reputation management…but should structure their content strategy around addressing people’s pain points, which they air organically on social media. Social media can also uncover long-term trends and shifts in audience preferences – you just need to start gathering the data to form the insights. Great list, thanks for sharing ! Fresh content and natural backlink profile are very powerful signals in my opinion. Also, site load speed is get more importance. This is the most detailed list I have come through on On-Page SEO. This is exactly what I was looking for . Thanks. I liked that you put optimization for mobile at the very beginning. I will definitely subscribe to your blog. This is a really useful list of regular checks that should be done, thanks for sharing. Thanks for sharing this! Okay, example if google penalize me… how long it will take? Great post! Thanks for sharing and reminding everyone about mobilgeddon. Mark: Page load speed is a ranking factor in Google’s mobile search results. Google wants to satisfy searchers with the best user experience possible, especially on mobile devices. If a result takes too long to load, it’s a bad UX. Thank you for sharing! How come page load speed is a ranking factor? First of all I want to know which is the best tool in SEO for data analysis? Content is very important in SEO. Specially these days, google can identify your content. Not only the content but also On page has been effective in SEO google is also focused on on-page. Thanks for the updated list I always wondered about word count and what Google was looking for exactly. This offers a lot better clarity. SEO is really wonderful optimization in On page & Off page consider with the two relation works on online marketing and internet marketing of two applications. The Internet marketing has the mobile application for analyzing that more keywords of checklist. I’ve read other blogs that have the same topic as yours and I think you forgot to include the responsiveness of a website, though your list is almost complete. But still, your post is very informative and I learned something from it. Glad that you shared this. That is the first web page I have ‘favourited’ in months. An awesome piece of content, thank you very much for sharing. This one article covers every important point of SEO and provides the perfect checklist. I will definitely use this list for SEO in future. Amazing! Thanks for the great checklist! As said building cannot stay if pillar are not strong in the same way a website with on page will never come up top on SERP for targeting keywords. 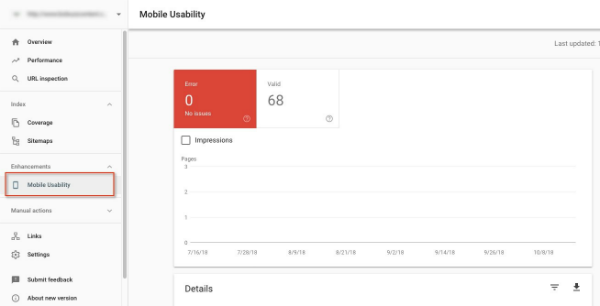 Without on page its way difficult and if you notice from last few google is focusing on page and on content by telling us the keyword density and LSI.. Totally agree with the points mentioned in the post. Tile, page content, keywords research plays a vital role in On-page optimization. 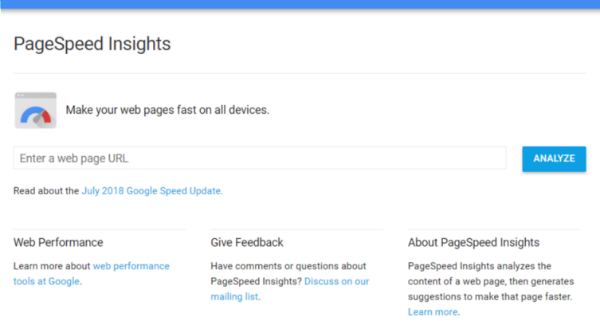 On page has been effective since beginning and its clear understanding why google is focusing on page as it for the end user. By having proper on page methods end user can get better and quick results and this will result increase of user. I totally agree with all, especially that the title needs to grab the attention of the searcher and that the description is your sales pitch as to why the page should be clicked on. Include the benefit that the visitor will get from clicking on the page and a call to action if space allows. These are great tips! We will definitely use this SEO checklist to help our clients rank. excellent checklist , i found very valuable information what i am searching for SEO. the purpose of web optimization is not just for arising web ranking, but also create more convenience for customers, thanks so much for your practical tips! Thanks for best seo checklist, i m new in seo it’s help me a lot. Thank you, this helps tremendously! Great question, Darlene. I have wondered this myself, so I wandered over to Bruce’s desk to find out. Here’s a definitive answer straight from Bruce. The one place where it is useful to include a title tag is on a link. In fact, the Americans with Disabilities Act (ADA) describes use of the title tag on links as a way to increase a user’s accessibility. So if you want to be a good web citizen, use the title tag on your links. The title tag is not needed for images. You could theoretically include a title tag on any HTML element (including a paragraph tag!) but it’s not useful to the user, and thus, it’s not valued by search engines. That’s a good rule of thumb: if it can be seen by a user, then the search engine cares about it. Are they important to include? OR Are they useful but not required? OR Don’t even bother. I’ve searched all over the net and cannot find a definitive answer. Thanks for update the check list, we always need to make sure we are doing correct way for SEO. It’s all about the #valueadd Peter ;) Thanks for your glowing feedback! Our next plan is to make a printable/download version of the checklist to keep by your desk. Stay tuned! This just goes to show you how much work needs to be done just to keep everything up to date. Yes! Glad to hear you find it useful, Vivek! Thanks for sharing the checklist, we are also using same checklist. Ben, the part about searching for your business with a voice search is an addition in this latest update! It’s one of Bruce’s top mobile SEO tips! Happy to share. Thanks a lot for sharing information mobile usability and the most important thing i got knowledge about keywords search by voice , yes its most important thing we should follow while doing seo . Once againg thanks a lot for sharing this information . Always appreciate your feedback, Andy! Yes! Fantastic list, Bahrati! Thanks for sharing yours! All the thing written here is compulsory if you want to improve you ranking or visibility in a search Engine. Great point, Chandan. Redirects could definitely have a place in this checklist. Adding this to the queue for a revision! Thank you for the feedback. Great SEO checklist indeed. Solving canonical issues and other need of 301 or 302 redirection could have been included in the checklist. On Page SEO mostly comes down to understanding how write for people, so following the standards in terms of organization and communication that newspaper publications, academic papers, and books utilize will definitely impact results. Great post! Mallory: That’s a good question that every business website has to answer. If your website visitors will benefit from seeing the services you offer, which I assume they would if they’re vetting your business, then you should find a way to show them. The bigger question is HOW you should organize that information and present website content lining up with each of your services. Your content needs to be siloed into logical categories. For instance, if you are a general contractor that does roofing, plumbing, and others, then consider having a main silo landing page all about roofing, which could list all your different roofing-related services and link down to subpages about them. You’d also want other silos for the other categories of services. However, if you are a roofing contractor solely, then you’ll want to think about how people search and organize your site accordingly. If you believe visitors search by type of roofing service (as opposed to some other criterion such as location, materials, or other), then you might list your different types of roofing services in your navigation and maybe on your home page. We have several pages on this site that explain the practice of siloing in depth. 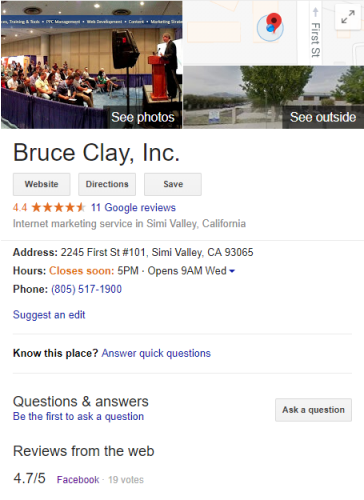 See https://www.bruceclay.com/seo/siloing.htm as a start.